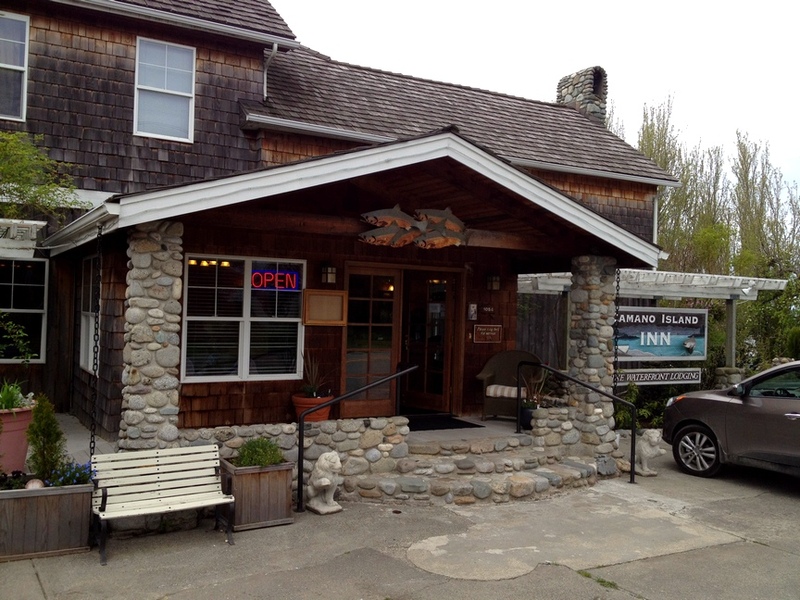 The Camano Island Inn is an upscale little bed and breakfast and spa on the west coast of Camano Island, looking out across Saratoga Passage to Whidbey Island and the Olympic mountains. The inn's bistro, open to the public Tuesday-Sunday, is a formal dining spot with an outside deck overlooking the Puget Sound. The inn is housed in a building barged to the site in the early 1900s and used as a boarding house for workers at the local shingle mill, near the site where the Kikialos tribe once lived on salmon and shellfish. It eventually became a fine hotel, The Camano City Hotel, which lasted in the 1950s, and subsequently became a private residence, and then a nursing home, before being purchased by the current owners in 1995. From strictly a bar perspective, the emphasis of this list/blog, the Camano Island Inn Bistro is probably not worth seeking out strictly for the bar or pedestrian cocktails. But for those in the area it does make a very pleasant, sedate setting for a good glass of wine. Est. July 3, 1998 - Building constructed: 1904?